Our radio silence is now over. We will try to concentrate a little more on writing even though the riding has been great. This is a new race series starting in Provo. 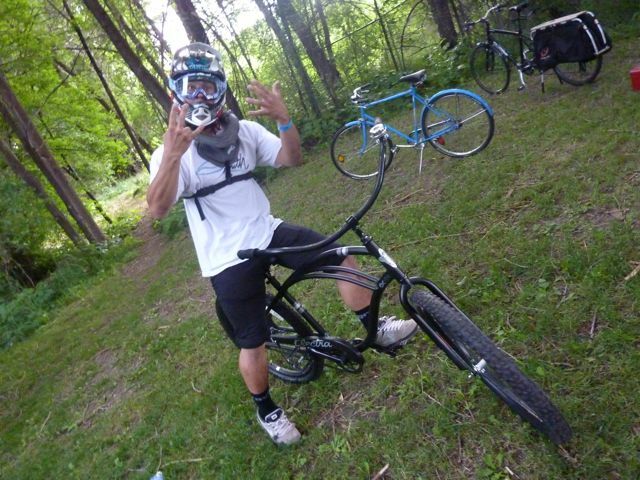 The idea is to grab a beater bike or beach cruiser and come out to race. 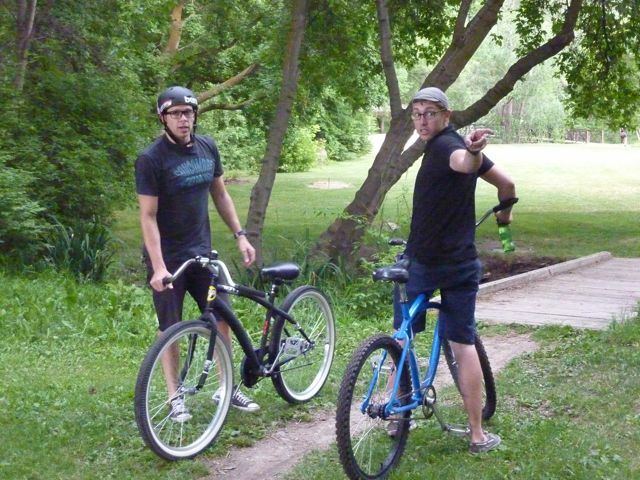 We will be racing in a secret forest track located in the heart of Provo. Bring friends to watch, cowbells to bang, and treats to eat or drink. 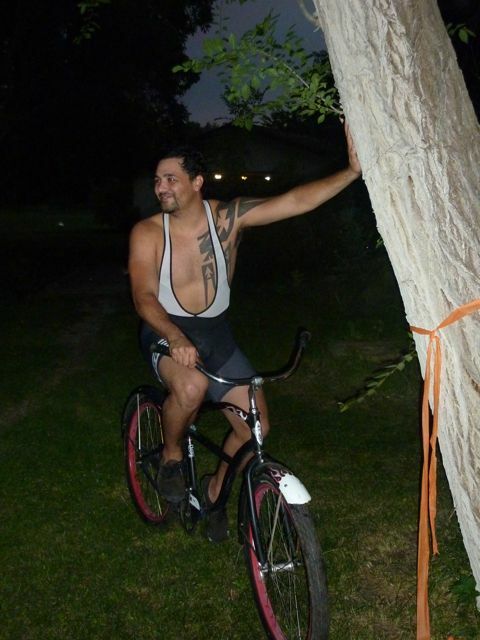 This is not a lycra/fancy bike event. We are not racing for cash prizes or sponsors we are racing for the fun of it, we are racing to ride our bikes with friends, we are racing because we can! 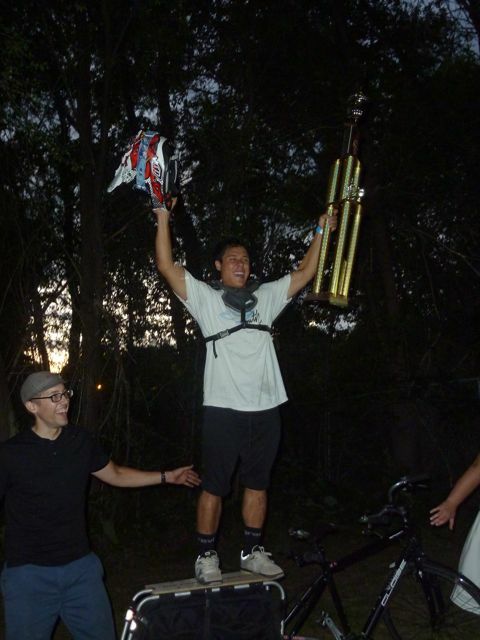 There will be an epic trophy given to the winner of the race, and by epic I mean 5 feet tall. The race will start at 8:15 sharp due to daylight restrictions don’t be late. See you there. I was at the event on Friday and it went off without a hitch. There were 12 riders which translated into 4 heats and a final heat for the winners of the first four. Everyone came out in full form as you can see below. The winners of the first four heats were Garrett Evans, Nick Bruce, Mykle Law, and (surprisingly), myself. The course was an awesome twisty single track with two passing points and tons of obstacles. 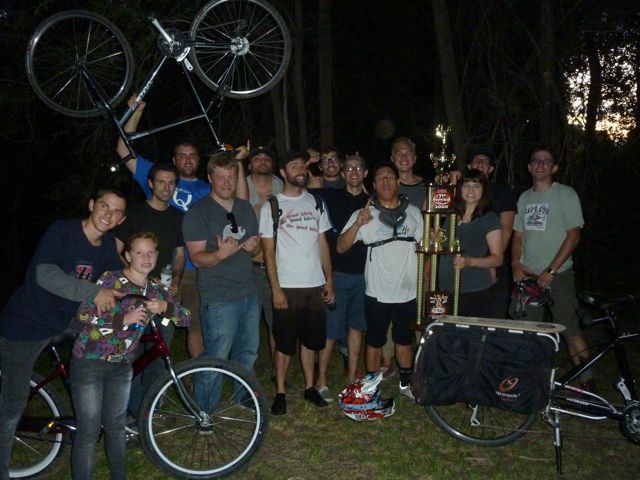 Everyone who raced had a blast. This is one of the few events that I have been to in Provo where everyone there was as excited (or was more excited), than I was. The other great part about the race was that anyone can race the track and do well. Garrett Evans took first, and so, took the trophy. Congratulations Garrett! 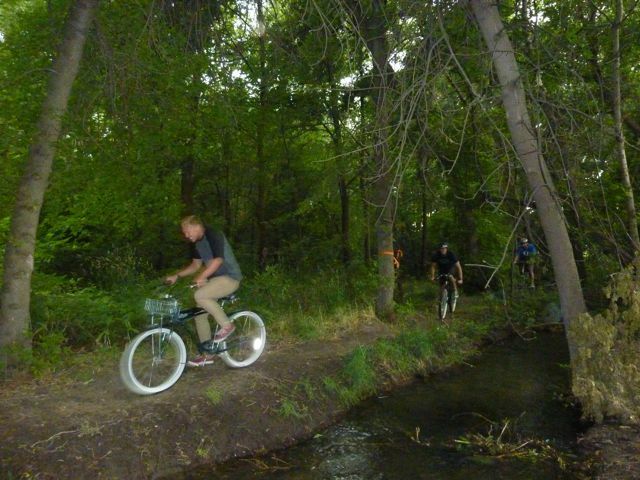 He was riding an Electra single speed beach cruiser with mountain bike tires on it. Simply put, mark your calendars for July 22 and start wrenching on whatever beach cruiser/beater you have because this is an event not to miss. We will make sure to post a time and place once the information becomes available. For another perspective of the race head over to Allison Hite’s blog which, has some incredible bicycle posts on it. She was nice enough to let us use her images since I was to busy racing to snap any photos. This looks rad! We’re officially moving to Provo the first week of August, so there had better be another one of these after we get there! The series will go all summer at least. We will be stoked to have to back.